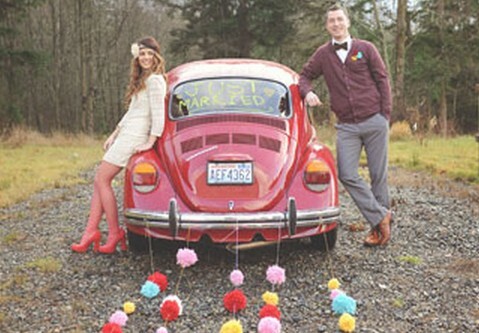 String pom-poms and tie them onto the wedding getaway car as a decoration! See more wedding decoration ideas on the source. See a tutorial for making a tissue paper pom-pom garland. See a tutorial for making a yarn pom-pom garland. See a tutorial for making large yarn pom-poms and threading them on the garland string.